Technique, technique, technique. For many it appears to be what skiing is all about. But are you really fulfilling your potential with the endless pursuit of technical excellence?. Like all sports there is a lot more to achieving excellence than following solely technical advice. Skills in all sports can be divided into four distinct categories, what we call the PERFORMANCE THREADS. ‘Technical’, ‘Psychological’, ‘Physical’ and ‘Tactical’. They are called the ‘Threads’ as all four intermingle and run through everything we do. All sports differ in the importance given to each thread. Weightlifting, shot put and hammer throwing, for example, may have a high emphasise on the ‘physical thread’. Other sports such as football, rugby, many team sports and sailing may have a high emphasis on ‘tactics’. Then there are those sports where ‘psychological skills’ play the most important role and of course other sports that could be said to be very ‘technical’. When we ask new skiers on our courses, what their perception of the balance of the four threads are in skiing, the answer is more or less always the same “about even between all four threads, 25% of each”. However when we follow up with the question, “If competence in skiing is an equal balance of all four threads, how much of your time have you invested into development in each thread?” – The answer is more or less always the same – mostly technical. For some technical development takes as much as 90% of their time, even 100% for a few. One thread, 25% of potential only achievable. So why does it appear that much ski instruction focuses on ‘technique’ if at best it only equates to 25% of the performance. Why do ski lessons and coaching often appear to be mostly about ‘technique’? The answer is pretty simply, we are all blinded by what we see. Technique is easy to see, easy to describe, easy to assess, easy to give feedback on and easy to correct. 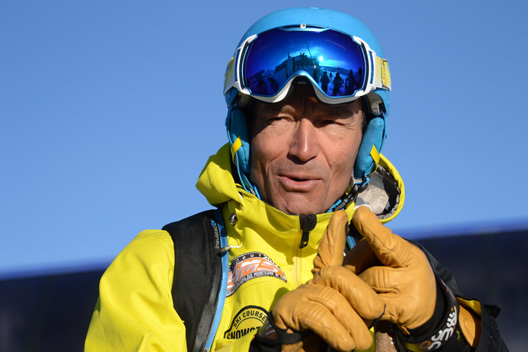 We can’t see the thought processes going on inside someones brain, we can’t see how performers process information and conjure up tactical decision making and by the time we get the skiers we are rarely able to do much about their physical state. So for many skiers, technique it is and the 25% performance threshold is where they get to. 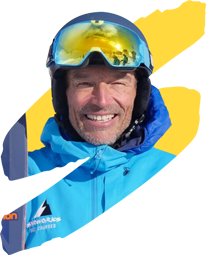 To break out of this colossal entrapment in the world of ski teaching and the dependency on technical development, you first need to value the other three categories, tactical, psychological and physical skills as highly as technical. Easy to say but not easy to do when the last 10 years of your investment may have been solely in technical development. I remember well one of my lessons a long time ago with a group of trainee ski instructors. I had opted for a session which would develop tactical skills. After the lesson I felt pretty smug with what I had delivered. I actually rated it as my best lesson ever. I even went as far as to tell my fellow instructors how great a lesson it was later that day. Yes I was even boasting at how good I had been, sad I know. That evening the head coach came up to me and asked for a word. With a smug look on my face I was preparing myself for vast compliments, but what I received was completely the opposite. The head coach went on to tell me it was the worst lesson he had ever witnessed. The group had learned absolutely nothing and if I had been one of his instructors I would have been sacked on the spot. He requested that I went back to developing their technique which is why they had all booked lessons in the first place. The next day I did a standard ‘run of the mill’ lesson on some aspect of ski technique that anyone could have delivered by reading it from a sheet of paper. The group was over the moon, great delivery and great content. We were back to the 25% threshold of development. Slaves to perceived technique. On another occasion I was with a group developing psychological skills and no matter how hard I tried to get the group to buy in to my coaching and get involved they was just not interested. After two hours of trying my absolute hardest to develop psychological skills I turned to one of the group and said “I’ve noticed your ankles are over flexed”. His eyes widened as he turned to me, suddenly alert and interested. “I never knew that” he said. He had taken the bait so I continued “yes, your ankles are generally flexed at about 20 degrees from the vertical whereas they need to be about 5 degrees less then that”. “Is that true” he said with a sudden realisation he was about to get some ‘real’ tuition. “No” I responded “it’s utter crap, but it got you interested. What will really develop your skiing is what I’ve been doing for the last 2 hours on psychological development when you had no interest whatsoever”. Valuing technical development much higher than the other categories is what is holding many aspiring skiers back. The adult brain longs for concrete information that is tangible – hold your hands here, press this much, stand like this, flex here, extend there, edge this amount. It’s concrete and tangible. We gradually turn into technical robots. Do what we’re told, when we’re told, programmed by our coach or instructor. We all understand that a base level of technical competence is required to ski safely and to prevent injury to our bodies and not put undue stress on our joints. But what about the other threads? Do ski instructor examination bodies value the four threads equally? This is an open question I leave for them to answer. You can see ‘slavery to technique’ in action when discussing skiers and their qualities. It’s rare for observers to recognise great assertiveness, a beautiful line, an artistic descent, amazing recovery skills, great concentration, little fear, physical prowess. Observers immediately are biased to how skiers ‘look’. What they can immediately ‘see’, their ‘technique’. Take some time to look at top level sports stars. You will notice they are all different. If they were the same they would not be top level sports stars. Take all four threads mix them all together in infinitely variable amounts and you have great individual performances. Bode Miller in skiing, Michael Johnson in running both more or less went against every technical model going even though they were both the fastest men in the world. In team sports we often see the slavery in adhering to the technical model interfere with flair and passion, stifling individuality. At Snoworks we go for the 100% potential, developing all four threads and our teaching and coaching is a reflection of this. Our challenge is to get our clients to value all four threads the same. If you really want to reach your full potential and open up the other 75% then it’s time to value all four threads equally if you don’t already. Spend equal time developing each and attach equal importance to all four. I would love to see all ski instructor exams going the same way giving the same value to all four categories. Maybe some already do. When this happens we will have ski instructors and their clients all looking different, skiing different and all having their own individual style.